Today we are talking all about anthologies and short story collections. First off, we’ll begin with definitions. I used to think those were interchangeable terms but I have come to realize they are not. Then, I’ll share with you some fabulous titles you might want to check out, including some really, really exceptional new releases. Then we’ll chat about some reasons why you should consider including more anthologies and short story collections in your school or classroom library. According to my favorite dictionary (Merriam-Webster – mainly because they have a hilarious Twitter account!) an anthology is “a collection of selected literary pieces or passages or works of art or music” and then it goes on to say “a published collection of writings (such as poems or short stories) by different authors” And that’s the key – anthologies include stories by different authors! The Guys Read Series is a good example of this. On the other hand, a collection is a book of selected writings (maybe poems, maybe short stories, maybe essays…) all by the same author. 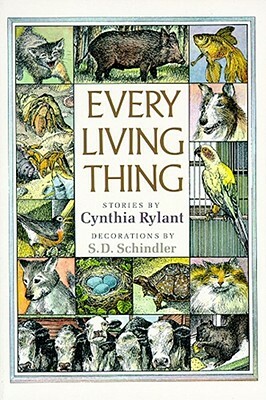 Cynthia Rylant’s Every Living Thing is an example you might know. But….I will say, I see those terms used as synonyms A LOT. And now – a selection – a sampling – a smorgasbord of anthologies and collections to add to your library or introduce to your children. And before we begin, I just want to give a huge thank you to everyone who offered ideas for this list when I put out a call on Twitter and Facebook for suggestions. In particular, you will not be surprised to know that Donalyn Miller was on it with a fabulous list of suggestions. 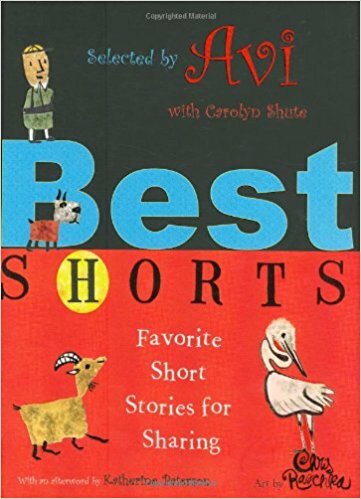 This anthology was but together by Avi and includes stories by Natalie Babbitt, Rafe Martin, Lloyd Alexander, and lots more. And it includes a great mix of time travel, and animal stories, and legends and a touch of the supernatural. In particular, “The Woman in White” by Patricia McKissack is one to check out. This is a collection of 12 stories – each one about how people’s lives are changed by an animal. This is a classic collection – and if you have kids who are animal lovers, this is definitely one they might enjoy. 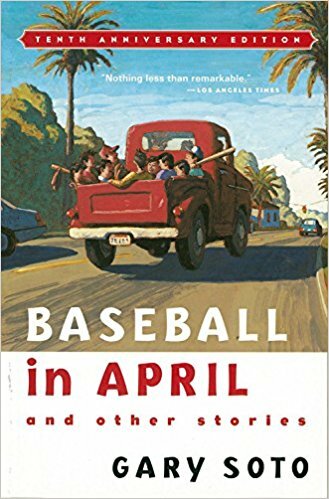 Gary Soto has a number of incredible collections – Baseball in April and Local News are among the ones that would be good for middle grade readers. 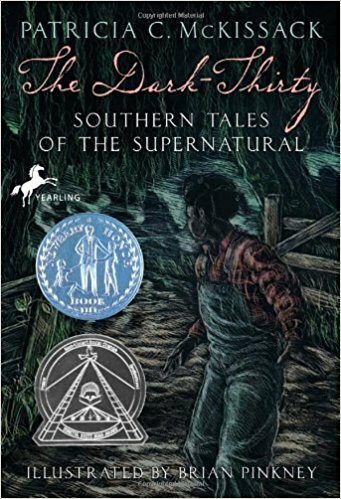 Up until last year, Hatchet was on our 5th grade required reading list and for those kids that really connected with that book, this collection was a great next book for them. Each story centers around Paulsen’s relationship with a special dog in his life. So this are also great examples of smaller memoirs. 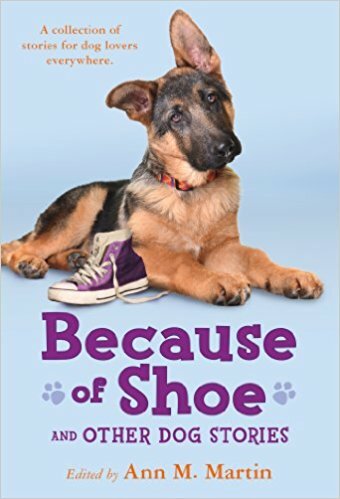 Another great dog anthology is Because of Shoe edited by Ann M. Martin who also contributes a piece. This one features nine fictional stories that appeal to a variety of age ranges. Oh how I loved this book when it first came out! 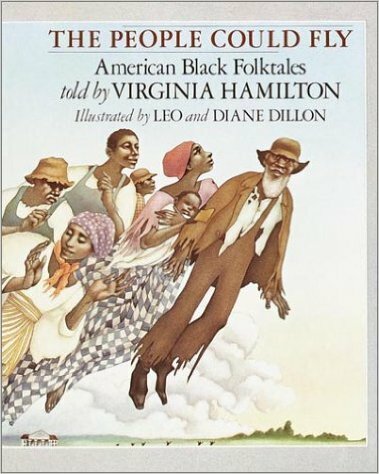 This is a collection of 24 retellings of black American folk tales – everything from animal stories to supernatural tales to stories of enslaved men and women seeking freedom. In a similar vein, Patricia McKissack has two collections worth checking out – Dark Thirty and it’s companion, which she wrote later, Porch Lies. Dark Thirty includes ten horror-themed stories with a Southern Historical flavor. And Porch Lies still has that eerie quality but also more humor. If you have a child that likes the Scary Stories to Tell in the Dark Series, these would be a couple books to put in their hands next. This one was strongly recommend by Matthew Winner and with one quick glance at the description online, I can see why. This is a collection of eleven classic fairy tales retold with a twist of Latino culture. 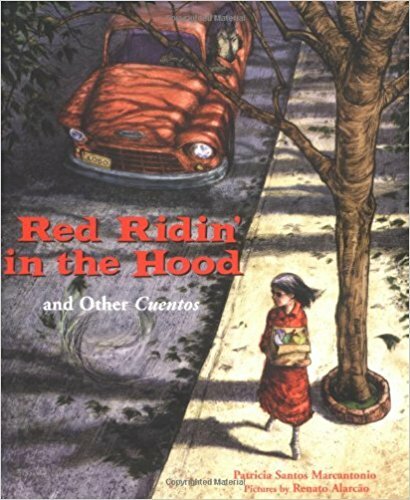 Let me read you the description of the title story: “Red Ridin’ in the Hood,” moves the setting to the barrio, where Red decides to brave dangerous Forest Street in order to reach her abuelita and encounters the menacing wolf in a thumping Chevy lowrider.” I have GOT to get my hands on that! 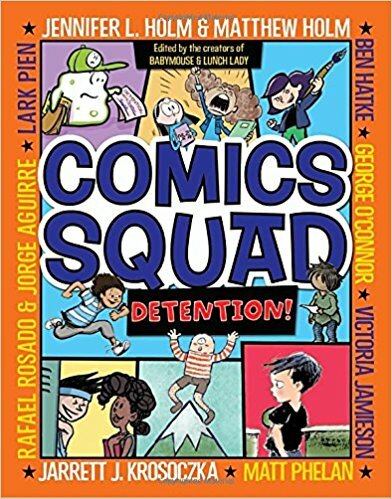 The Comic Squad Series have been favorites with my 5th graders. Right now there are three of them – Recess, Lunch, and Detention which just came out last month so I need to pick that one up before heading back to school. 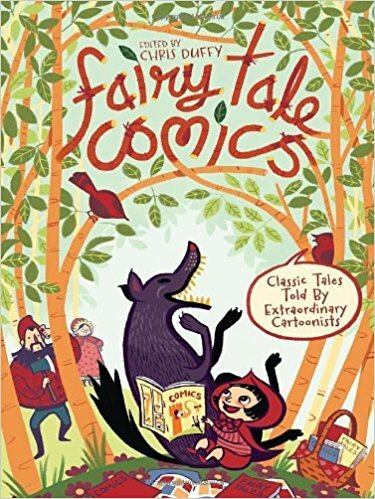 Also – definitely check out Fairy Tale Comics! This is a very cool collection with some awesomely weird stories in it. If your kids like that one, there is also Fable Comics and Nursery Rhyme Comics. 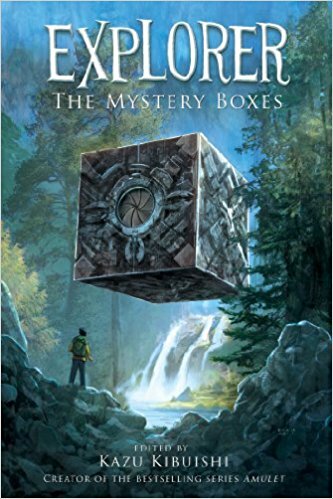 So – if your students and children are like mine, they LOVE the Amulet Series by Kazu Kibuishi. And I recently discovered – again thanks to Matthew Winner – that he has edited a series of graphic novel anthologies called the Explorer Series. (Why have I not heard of these before? They look incredible!) Each of the three books has a different theme. So the first is Mystery Boxes, the second is Lost Islands and the third one is Hidden Doors. The list of comic contributors is outstanding – like Raina Telgemeier, Faith Erin Hicks, Dave Roman, Jen Wang…. I gotta go get these! 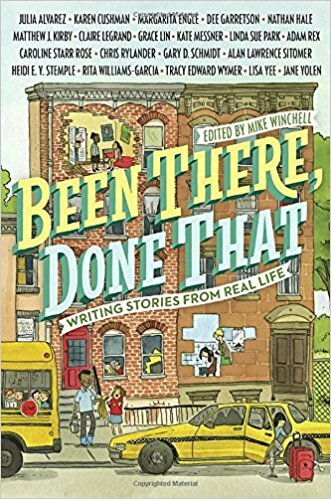 Been There, Done That – is a really special anthology which has fictional stories by award-winning and best-selling authors and also includes the real-life story that inspired those narratives. I LOVE how this could show kids how you can mine your own life for stories. This is one of those books that I’m like – how did this get by me? This is GREAT! The Guys Read Series – This group of seven anthologies is edited by Jon Scieszka and each one has a different theme like Terrifying Tales, The Sports Pages, Other Worlds, Funny Business, and the most recent one Heroes & Villains. And, despite their name, they include stories by both men and women. For example, Dan Gutman, Kelly Barnhill, Matt de la Peña, Neal Shusterman, Shannon Hale, and so so many more! And now onto some really fabulous new collections and anthologies that your kids are going to love. 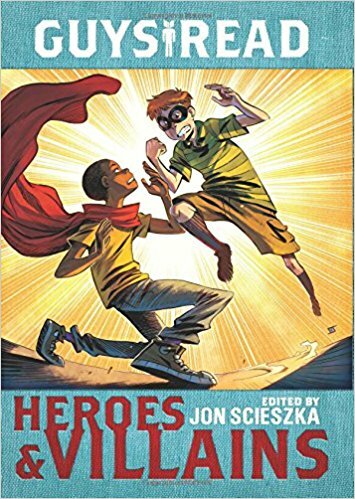 This anthology is put out by Scholastic and I think is offered as the free book for Book Club orders over $50 this September. 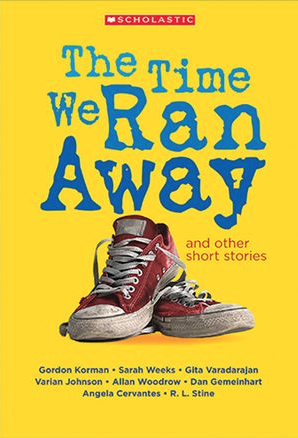 It includes eleven short stories by best-selling authors like Angela Cervantes, Sarah Weeks, and Dan Gemeinhart. I can’t seem to find it anywhere else (yet) so I think you’re going to have to get this one through Scholastic for now. 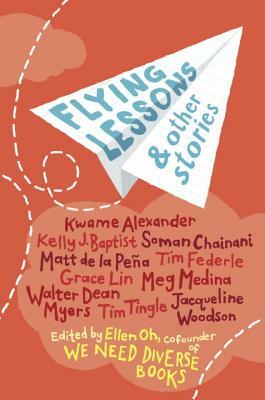 This anthology edited by Ellen Oh includes new stories by Kwame Alexander, Kelly Baptist, Tim Tingle, Grace Lin among so many others. It was released last January. And I got it the day it came out and had wonderful intentions of reading it right away. And then – how can you say no to a line of kids reading over your shoulder and wanting to borrow it? So – all I can say is that what I read was good and it was passed from kid to kid to kid until school let out. Clearly – it’s a winner! 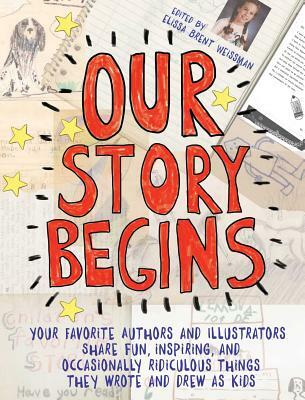 Another new anthology that I LOVED this summer was Our Story Begins: Your Favorite Authors and Illustrators Share Fun, Inspiring, and Occasionally Ridiculous Things They Wrote and Drew As Kids . Well – that pretty much says it all! This book is edited by Elissa Brent Weissman and I especially loved the images of the author’s hand written stories and diary entries and sketches from when they were young. And also hearing about the inspiration of a new typewriter or a teacher’s supportive comment on a report card or the chance to enter a writing contest. It’s fascinating to see the beginnings of these 25 writers’ journeys. 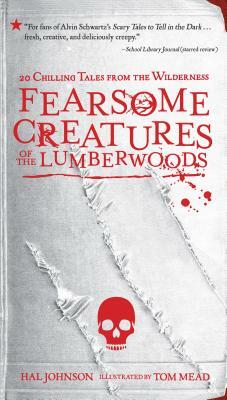 If you have students who like something a little dark, a little twisted – then Fearsome Creatures of the Lumberwoods by Hal Johnson is one they are going to love being scared by. This collection is “20 Chilling Tales from the Wilderness” told from the perspective of a cryptozoologist – a person who studies legendary beasts like Big Foot or the chupacabras. One reviewer called these “faux-lore” which is perfect. My ten-year old and I really love listening to the podcast Lore together and I think this will really be up her alley. It comes out August 22nd so be on the lookout for that next week. 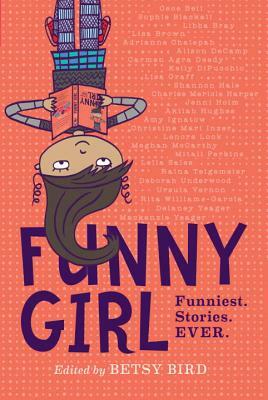 And finally – Funny Girl – edited by Betsy Bird. In fact, in our very next episode, I have the great pleasure of sharing with you a conversation with Betsy Bird about this book and LOTS of other things. We talk a fair amount about it in our interview so I think I’ll just say here that you should definitely go get it. It is truly laugh out loud funny. And oh do we need some humor in our lives. So definitely get this one and I’m…I’m hoping for a Volume 2! I am going to say up front that I don’t have a ton of these in my classroom. But – I loved them as a child and I’ve noticed lately that my own daughters have been picking more and more of them up. I thought – I need to really expand that part of our library. So here are 7 reasons why you might want to consider including more anthologies and collections. Anthologies are gateways to discovering other amazing authors. So a child might pick up Guys Read: Funny Business and be drawn to the Jeff Kinney story, “Unaccompanied Minors” but then get introduced to the amazing Christopher Paul Curtis or David Lubar and suddenly discover their new favorite author. On the other hand, a collection of writing pieces all by one author is great when you want to go more in depth and dig into everything they have to offer. Often authors who are known for, say, novels or a certain genre – will play around in short pieces and try something new. Like poetry or a personal essay. I feel like a collection gives you a good sense of who an author is and more of a window into their life. 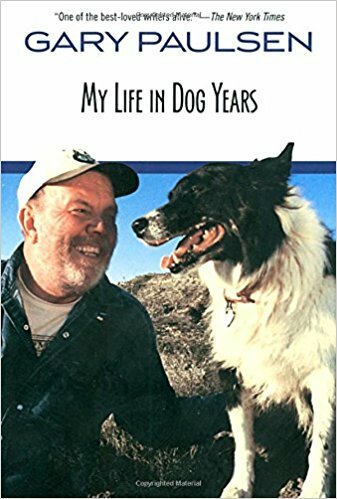 Anyone who loves Gary Paulsen should read My Life in Dog Years. Anthologies and collections can help kids gain some reading traction if their stamina hasn’t been so great. They can get that satisfaction of finishing a story or an essay in a short amount of time and start to build up to longer texts. Especially at the beginning of the year or after a break, starting with something shorter can be a great idea. When I’ve had reading lulls in my ownlife, short stories can really kick-start me again. They are great for trying out new genres and new formats without the investment in a longer novel. My youngest daughter wouldn’t necessarily pick up a biography but she LOVED Goodnight Stories for Rebel Girls. And although most of my students really love graphic novels, I’ve had more than few turn up their noses at that format. So I’ve handed them books like Comic Squad or Fairy Tale Comics and ask them to just try one story. Anthologies and collections introduce a greater variety of stories and perspectives into your life. On the last episode when I was chatting with Jillian Heise about #ClassroomBookADay, I was thinking about how reading a picture book each day can bring more so much more diversity into a classroom. And collections can do the same thing. In fact I was talking with my husband about this last night and he said it perfectly, “Would you rather get a box of all the same chocolates or would you rather get sampler with a dozen different flavors?” Yeah – I’m going for the flavors! And I might leave the cashew cluster for someone else, but that’s okay. Coming at this from a teacher’s point of view, reading the short stories and essays found in anthologies and collections are wonderful to offer as models for students’ own writing. With my 5th graders, we use the TCWRP Units of Study and our first writing unit is Narratives. And of course, I want to give them lots of examples and mentor texts. So I’ll take the first couple of weeks to read to them lots and lots of short narratives to really imprint in their mind what a good narrative sounds like and feels like. What the pacing and plotting is like in all kinds of narratives – from funny to serious. And finally – anthologies and collections are perfect for when you don’t want to jump into a long book yet or you only have little snippets of time to read. I think they are great for traveling. If you’re on the bus or a plane, you can finish a full a story and don’t have to worry about rereading to pick back up the threads of a plot. In a classroom, if students are in book clubs and a couple members of the group have fallen behind in their reading and need to catch up, you don’t want the other students to start a new novel. So offering them a book like Flying Lessons or Funny Girl is a great option. Okay – that wraps up our show this week. We have some great interviews and book talks coming up. Next week is the amazing Betsy Bird. And after that you can look forward to a conversations with Celia Perez about The First Rule of Punk and Danielle Davis – author of Zinnia and the Bees. I’ll also be chatting about Jason Reynold’s Patina and some really great new graphic novels. So be on the lookout for those. And, if you have a question or an idea about a topic we should cover, I would love to hear from you. You can email me at booksbetween@gmail.com or connect on Twitter/Instagram at the handle @Books_Between. And, if you like what you hear and value the podcast, please leave a quick review or rating on iTunes or Stitcher.